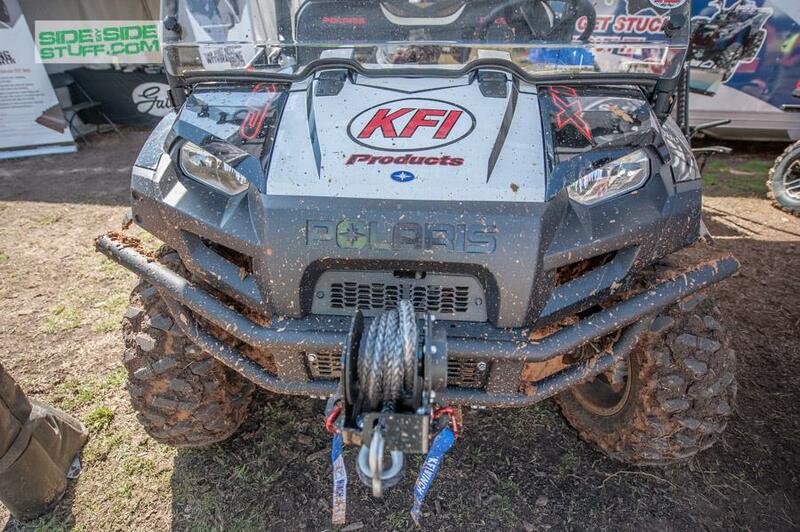 KFI's Tiger Tail Tow System provides a tough and tangle free tow system for your UTV. 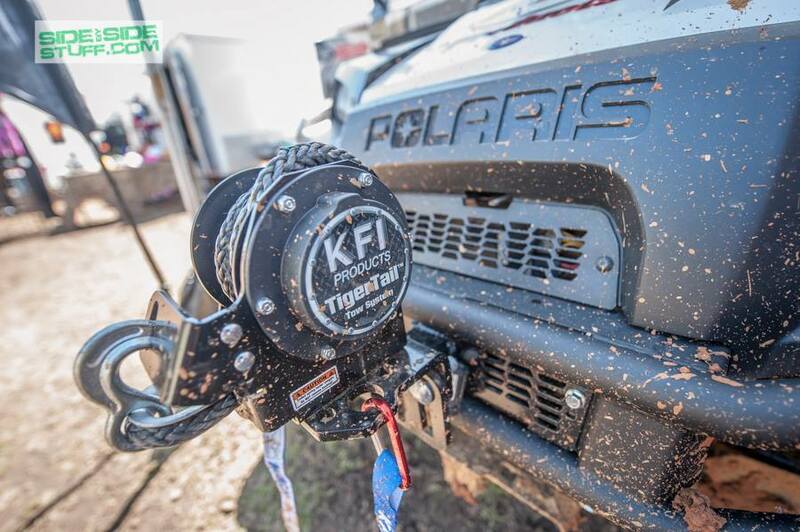 Since the tow system is fully integrated to your UTV, you never have to leave it behind and makes this a convenient addition. 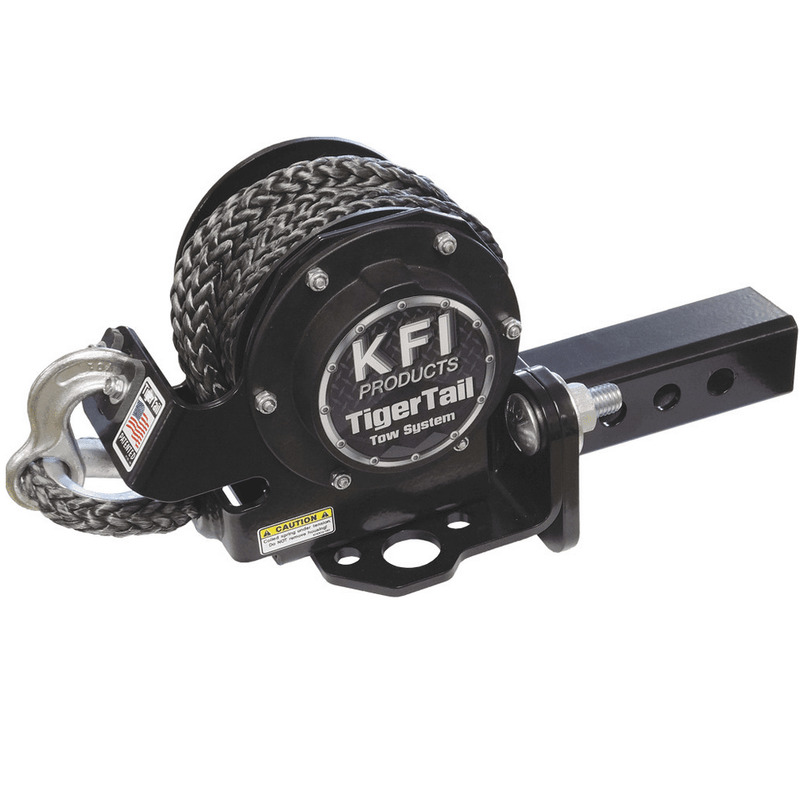 Easy to use, the Tiger Tail Tow System is 100% made in the U.S.A.
Quality built with 3/16" grade 50 steel construction and 12 feet of 12,000 lb average breaking strength rope with wear resistant coating, this tow system will handle nearly every job you can think of. Since it's fully sealed and lubricated mechanism tested to 14,000+ cycles and powder coated black, the Tiger Tail Tow System will last for a long time. Just don't keep it on all the time. The heat from the exhaust melted the plastic spool part. Now it won't wont retract the rope. This is a great invention. I have only used it to drag logs out of the creek while clearing the land, and it is really handy. I like how it retracts automatically so you don't have to worry about backing up and running over the rope. I think it is a little pricey, but I love the idea.